Home » Holidays » Christmas » Tis the Season for a Treat! Tis the Season for a Treat! 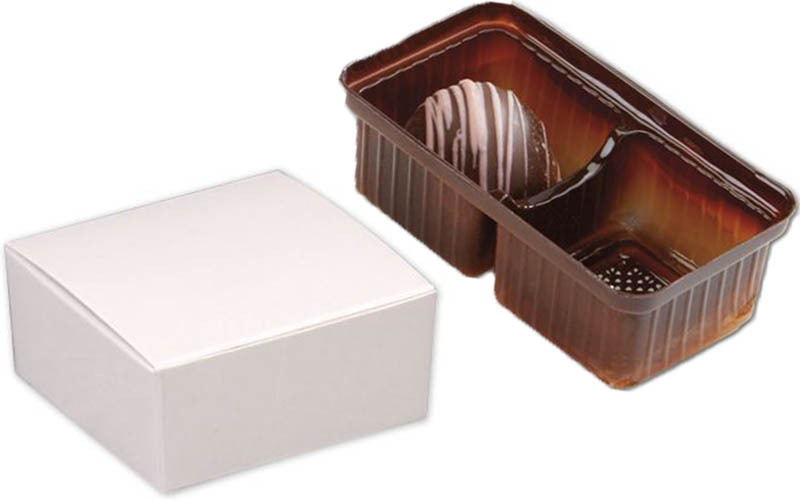 I found these perfect 3″ white square boxes with white sleeve and 2 count truffle trays from bagsandbowsonline.com. (Other colors available to fit your theme!) You can also eliminate the truffle trays and put a brownie or cookie over tissue! 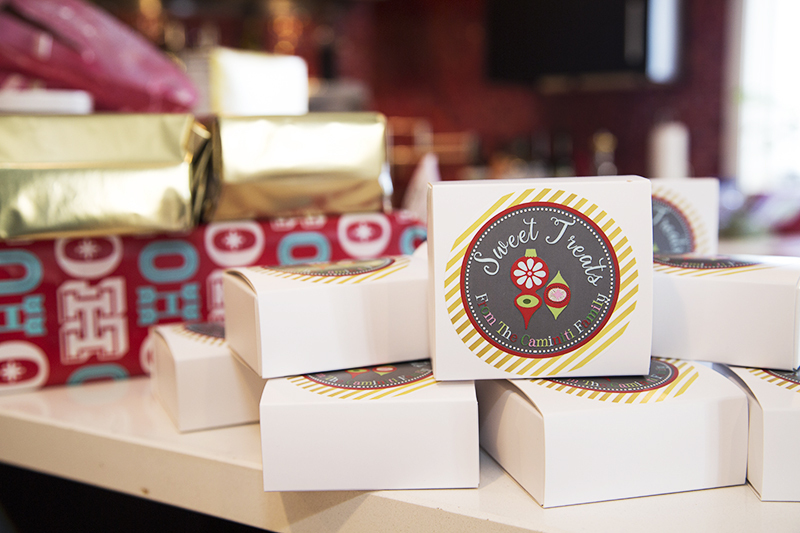 Choose a Sweet Treat Sticker design for the top of the package. Shown below is from the Retro Diamond Collection. These designs have printing options as well. If you print from home, a full page of 3″ stickers will be emailed to you. This is a low cost option (only $6.00), however you will need to purchase a 3″ punch, such as Fiskars, from your local craft store. A better hassle-free way is to have them pre-printed. They arrive cut and ready to use in 3-5 days. Have your name pre-printed for personalization! These designs can also be converted to gift tags with a front and back design at no additional cost! Pinterest has so many great truffle recipes, or maybe you have your own! Visit MY PINTEREST page for some of my favorite truffle recipes. I’d love to see some of your recipes and ways you used the treat stickers, so feel free to share!